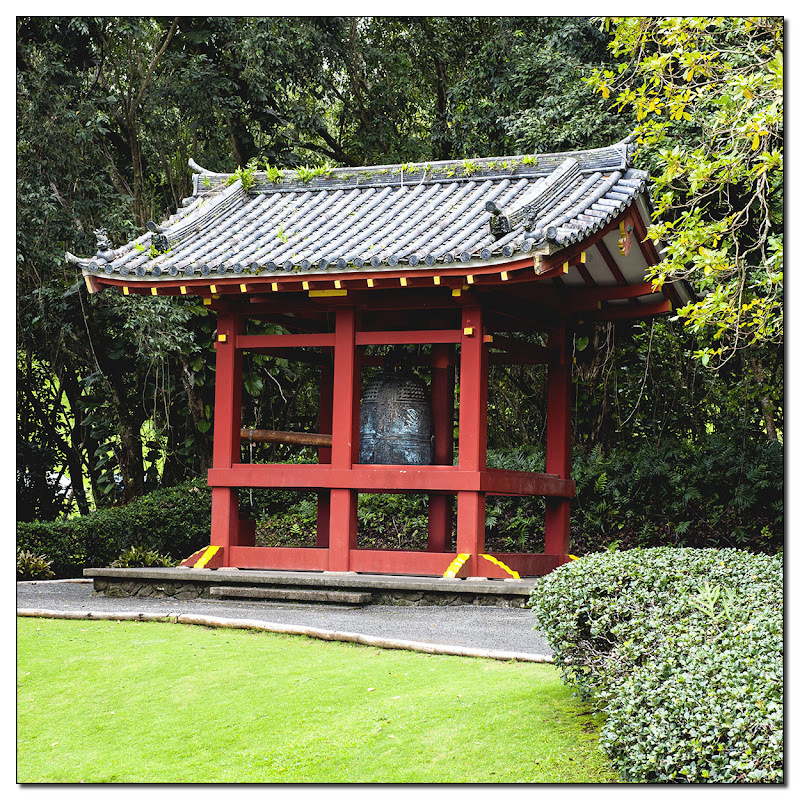 The Byodo-In Temple is a non-denominational Buddhist temple located on the island of Oahu in Hawaii at the Valley of the Temples. The Temple was commissioned and built largely in 1968 in the Valley of the Temples to celebrate the centennial anniversary of the arrival of Japanese culture to Hawaii. It was dedicated by Governor John A. Burns, a favorite of the Japanese community for his long service for the cause of Japanese rights during the state's territorial years. Japanese immigrants entered the Kingdom of Hawaii and later Territory of Hawaii to labor in the sugarcane and pineapple plantations. Surrounding the temple are large koi ponds that cover a total of two acres. 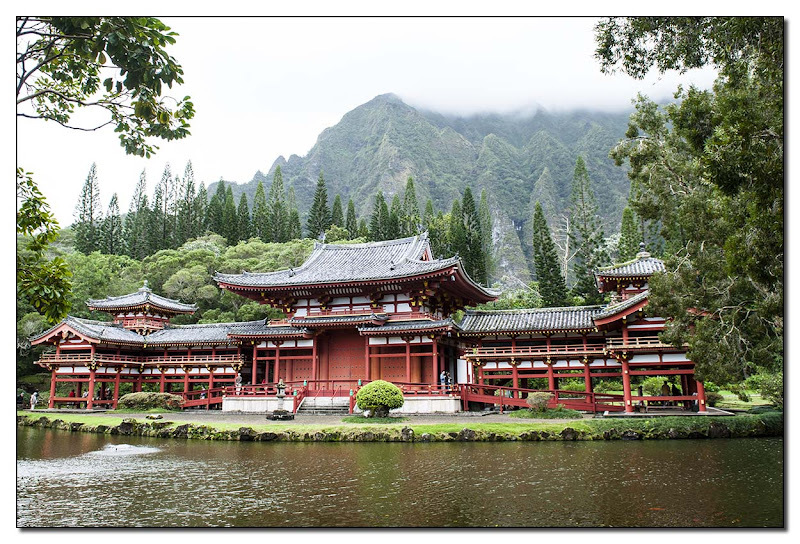 Around those ponds are lush Japanese gardens set against a backdrop of towering cliffs of the Koolau mountains. 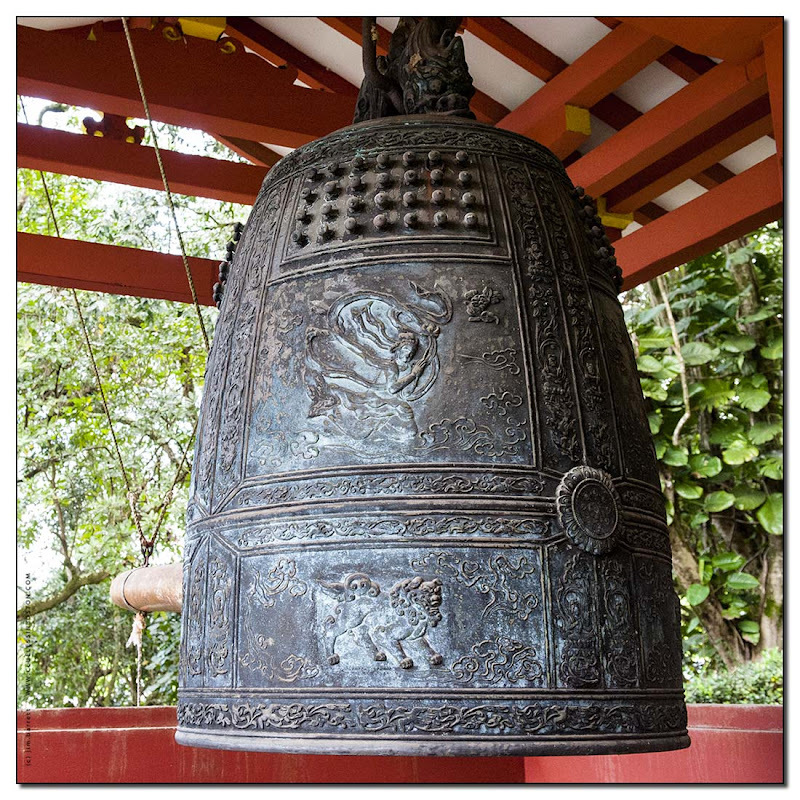 Outside is a three-ton, brass peace bell. Close-up view of the peace bell. I've never been to Japan, but each time I see japanese gardens outside of Japan, it seems that they succeed to bring everywhere their peace, their beauty and their serenity.The mountains with grey clouds above offer a fabulous frame to this beautyful temple! The temple is beautiful. There is something about the setting and the design that makes it feel peaceful and spiritual. Magnificent landscape, I love the mountains and the temple is adorable, I also love the bell! I had no idea whatsoever about Hawaii's Japanese history. This is just fascinating! What beautiful photos too!